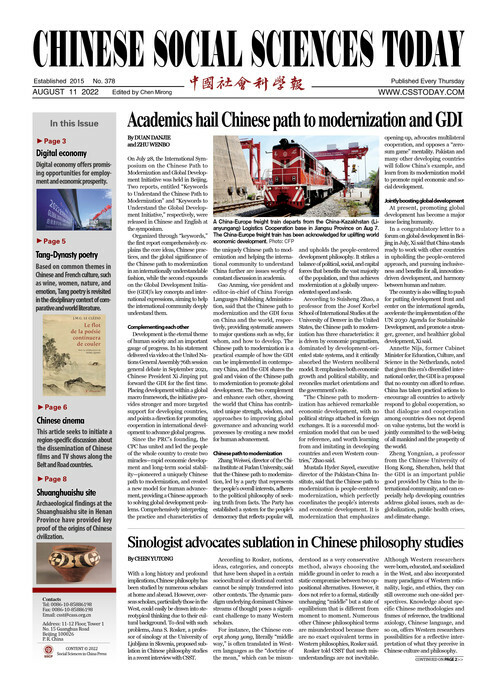 Jointly compiled by the Chongyang Institute for Financial Studies at Renmin University of China and the Institute for Central Asian Studies at Lanzhou University, the think tank report on “Sailing Steady to Success: Shanghai Cooperation Organization in its 17 Years” ( Chinese and English version) was released in Beijing on May 21. According to the report, the SCO has grown into a cross-regional international organization that covers the widest land area, hosts the largest population in the world and is involved in multiple realms of cooperation. Since its establishment, the SCO has made remarkable achievements in such fields as security, cultural and humanities cooperation, economy and trade. Yang Shu, director of the Institute for Central Asian Studies at Lanzhou University, said that the report analyses the achievements the SCO has made as well as challenges it currently faces, and also gives suggestions on how to ensure its steady development. So far, it is one of the most comprehensive and in-depth research reports to analyze the development of the SCO in the past 17 years, Yang said.